The whole concept of Sage live is to give you more time and freedom to really have an impact on your business. How you use your new found time is up to you. Our job, is to get you that time! 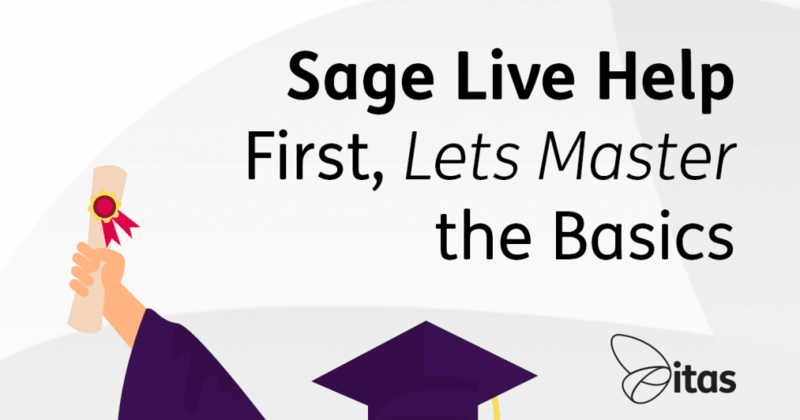 So, if you are looking for Sage Live Help – look no further. We have a huge range of guides, demos and training plans. But first, lets start with the basics. Sage Live is very different from traditional accounting systems and so, can be extremely daunting! One of the things I think is imperative to getting the most out of the system, is to understand the concept of the system. As well of course as knowing the basics! So, here are my top tips for getting to grips with Sage Live! As I have already said, I think understanding why the system works in certain ways helps you to understand how it works. One of the things people often say is, I have used previous Sage products before so I should be fine. When actually, Sage have really started fresh with Sage Live. The system is different to others, because it was approached differently. The developers didn’t just say ‘How can we do that better?’. Instead, they said ‘Why do we do that? And why do we do it that way?’. For that reason, there are fundamental differences between Sage 50 or 200 and Sage Live. When implementing Sage Live, we always start with the question – What do you want to get out of the system? What do you want to report on? Sage Live isn’t just business as usual, it is so much more. Sage Live is very reporting focused. Whether its on-the-go dashboards or detailed drill downs. One of the key reporting tools is the introduction of Dimensions & Tags. A dimension is effectively, anything you want to measure. So, for example you may have a list of Dimensions like Project, Consultant, Industry, Campaign. You then attach tags to these dimensions. For example, Project A, Project B, Project C etc. You are then able to tag transactions and journals. So when you put on an invoice, you can relate it to a certain Project, the Consultant who worked on it and the campaign it was part of. Then, you are able to report per Project or Consultant. You could pull a P&L by Consultant? You have clear visibility across the business and are able to make informed decisions. To find out more about Dimensions and Tags, check out our blog. Whats the difference between Transactions & Journals? So, everything you enter in the system is either a Transaction or a Journal at the highest level. Of course, you then have different types within those, but fundamentally you enter a Journal or a Transaction. The main difference between the two is that you get a PDF with a transaction. Other than that, the behaviour is very similar. Sage Live has what is call Posting Rules. Every Journal Type or Transaction Type has posting rules assigned to it. These posting rules determine what values are posted to where. When you click the post button, effectively the system goes off and looks at the posting rules and follows them to make ledger entries. You can modify any posting rules in the Configuration area of Sage Live. So, if you are struggling to figure out why a transaction has posted to a specific place, check out the Posting Rules for that Journal/Transaction Type! Adding New Customers & Suppliers in Sage Live sounds complicated, however in practise it is very simple. So, lets start with the theory then we can go over how it works in practise! Effectively, when you create a Customer or a Supplier you create a Salesforce Business Account and you relate a Customer/Supplier Tag to that Account. The balance of the Customer/Supplier is then contained on the tag. All you need to do is go to the Sales/Purchases Tab, select Customers/Suppliers and then click New. This creates both sides of the Account and the relationship between them! 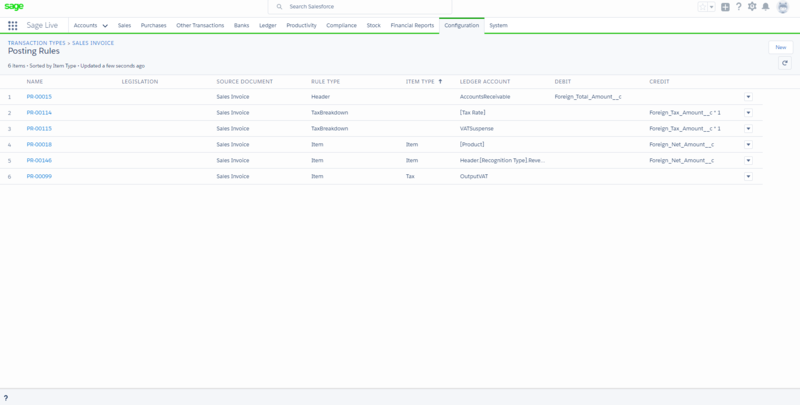 For a walk through of adding customers, adding invoices and much more check out our library of Guides & Interactive Demos! One of the main things that trips people up, is that when entering transactions, you create a Header and then add Line Items. First, comes the Header where you would enter the account, the payments terms, the date etc. You don’t enter any values in the header. Next, you add your Item Lines. This is where you would choose your product, price, tax rate and any dimensions you are tracking. After saving the line items you will see that the Total Value of the Invoice (on the Header) will populate automatically! Easy. Then all you need to do is post it! Although it can seem overwhelming, Sage Live is a fantastic system that drives automation and information. If you would like more information on how Sage Live can work for you and your business, or you would like one of our Expert Trainers to help you out, get in touch.